Finally, some good beer was found on this trip! 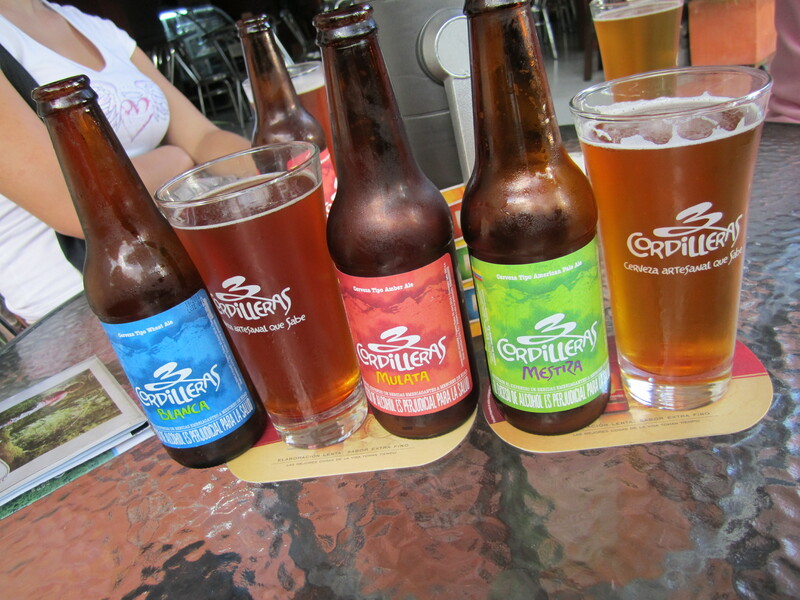 Now, I have enjoyed some Colombian beers on a hot day, but we finally tracked down 3 Cordilleras, and it is one beer that I would enjoy anytime! I cannot take the credit for this amazing find, so a big thank you goes out to Dave and Tatiana for their suggestion and taking us to this brewery. This small brewery has four different beers on tap, Blanca, a wheat beer; Mulata, a good redish beer; Mestra, a nice hoppy one; and Negra, the crowd favorite (well our crowd anyway) is a great dark, stout beer. 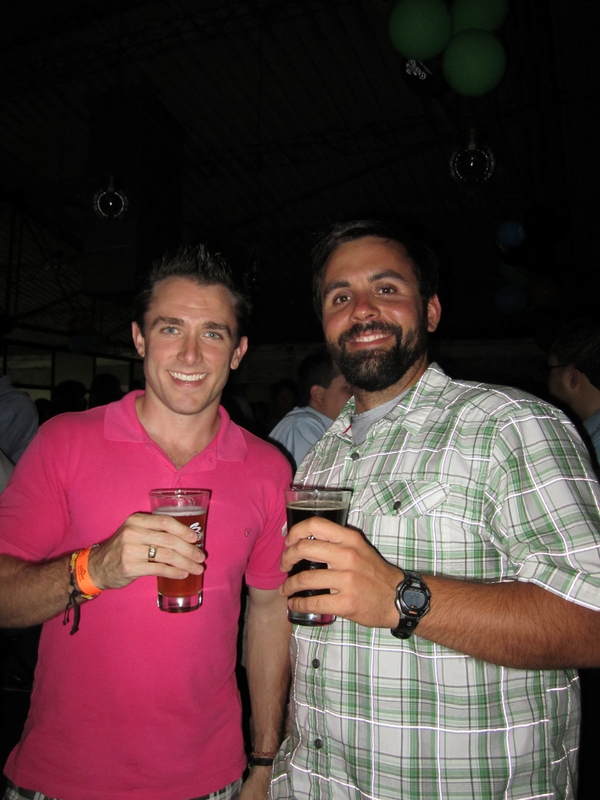 The Negra was so popular in Medellin that we had to go to the brewery just to find it. They also occasionally have a seasonal beer, but we missed out on that by a few weeks. We were able to visit 3 Cordilleras on Thursday (the only night they are open) while staying in Medellin. For about eight dollars we enjoyed SIX large servings of their beer (take note New Belgium-especially now that you are charging for tasters!!!). The crowd was fun, and we were even treated to a Michael Jackson concert on TV, and people were in to it, including Kristen. I think I am going to make the call and proclaim this the best beer in the country. There might be a small challenger in the town of Buga, or booger like I like to call it, but I am not sure if it is fair to group them into the same category. Supposedly in Buga, this German expat makes his own sourdough bread and brews a few kegs of his own beer. Hearing this added a new destination to our itinerary. Don’t worry, there will be an update on that. So congrats 3 Cordilleras on your fine brews, I especially enjoyed the Negra. 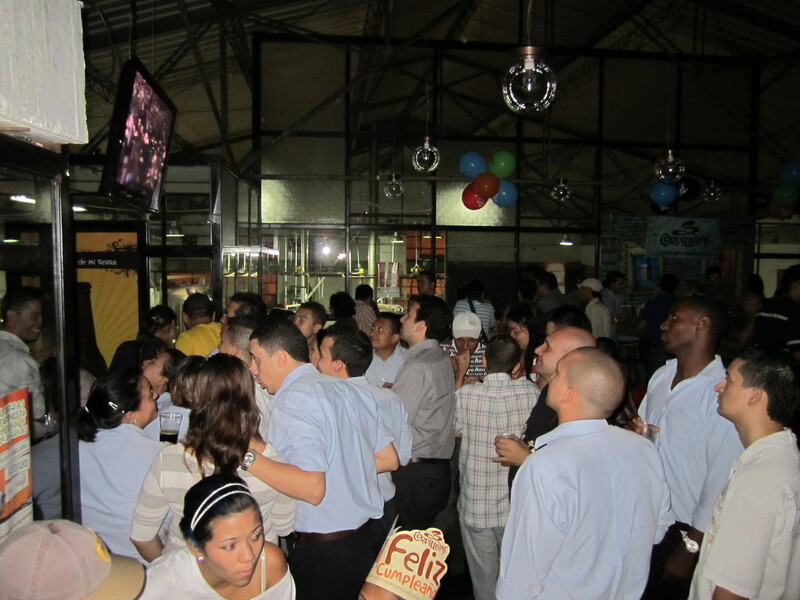 If you’re ever in Medellin on a Thursday night, head on over for a good time! To the fellas at work, don’t worry, I will keep trying out beers for you. But NB is donating all the money they make from charging for tasters to charity. It will make you feel like a good person for drinking beer! That is the taster?! Jealous! Awesome! Nice, cheap beer. Except tasty. Interesting concept… PBR should take note. Thanks for the post I will look for that german in Buga!! Sounds like the beer in Columbia beats hands down the Bitburger beer had last night. Any beer sounds better than a bitter beer.